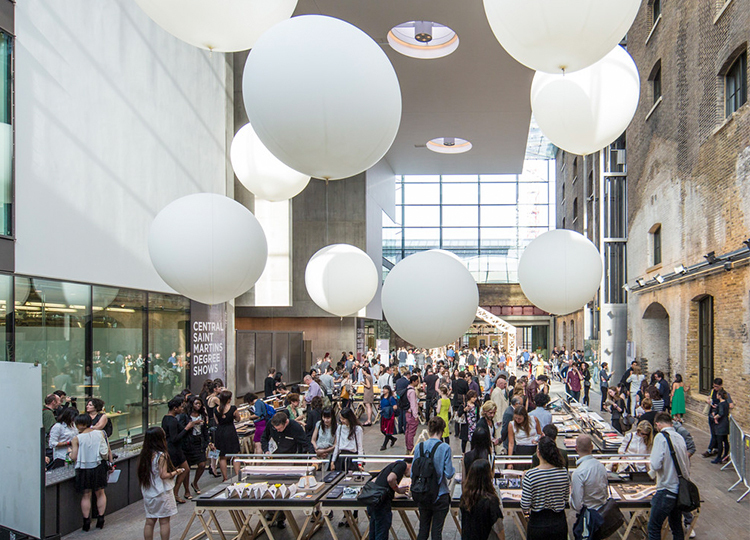 Since 2015, Hollyport has been proud to support the BA Fine Art Course at Central Saint Martins, a prestigious arts school with an impressive list of alumni. We are dedicated to supporting the next generation of creative talent and a number of artworks by CSM students are on permanent display in our London office. Our sponsorship includes the Hollyport Capital Prize, which is awarded to two second year BA Fine Art students each year. Drawn from a shortlist of nominees at an exhibition in the Spring Term, the winner and runner up are announced at a special award ceremony at the Degree Show in June. 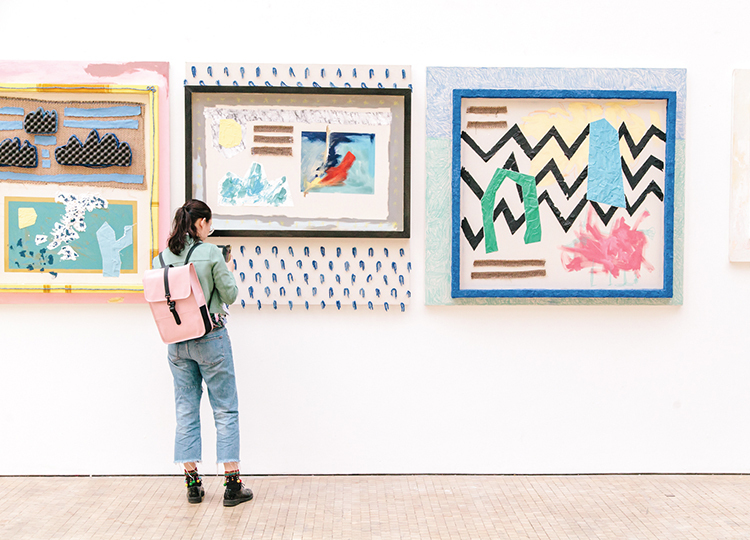 The winners receive a cash prize to contribute to the costs of their final degree show the following year, ensuring that their creativity is not bound by financial constraints. 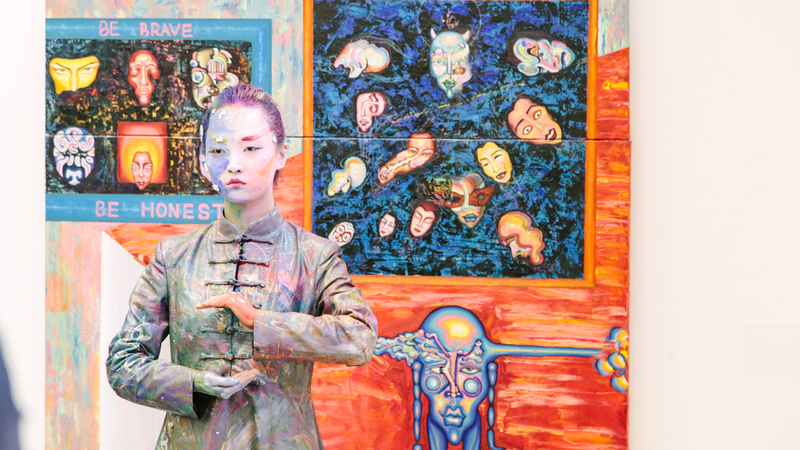 Sara Gulamali won the 2018 Hollyport Capital Prize which helped to launch her role as co-author of her own exhibition at the Lethaby Gallery entitled The Age of New Babylon. Hollyport Capital’s sponsorship is incredibly important as it offers our students the opportunity to develop ambitious plans in the lead up to their degree show. Just as importantly, perhaps, receiving the prize at this pivotal moment in the students’ development gives them confidence to grow as artists as they prepare to leave the university environment and the exciting challenges of the artworld. Winning Hollyport has meant that I can concentrate on the things that matter, such as my degree show and education and not having to feel as stressed about how I could afford to put my ideas into practice. It’s allowed me not to feel as limited in my thinking!